What’s up? Progress is one of the most powerful ways to ensure employee engagement and enrich the inner worklife of employees. Teresa Amabile and Steven Kramer in The Progress Principle stated that 95 percent of leaders fundamentally misunderstood the most important source of motivation ranking it last as a motivator. Facilitating progress, even small wins, is the best way to motivate people day in and day out. The key to motivation turns out to be largely within your control. What’s more, it doesn’t depend on elaborate incentive systems. (In fact, the people in our study rarely mentioned incentives in their diaries.) Managers have powerful influence over events that facilitate or undermine progress. They can provide meaningful goals, resources, and encouragement, and they can protect their people from irrelevant demands. Or they can fail to do so. What? The findings of the progress principle are based and 12,000 daily event diaries. 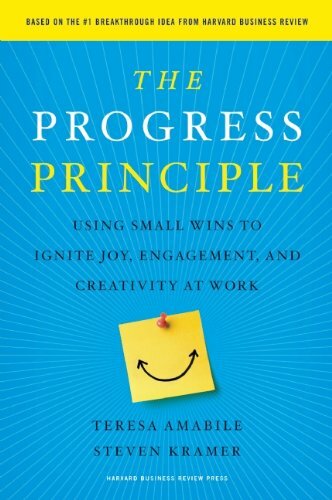 The progress principle states that the single most powerful positive event that influences inner work life is progress in meaningful work and that setbacks in work are the biggest inhibitors. Even small progress can make all the difference between a great day and a terrible one. On days with progress people experienced more interest, enjoyment, challenge and involvement in the work itself. A personal change based on the book I have made is to facilitate more of my own progress by recording chunks of productivity and using the principles of gamification to enhance the experience of progress and overall wellbeing. What else? Sign up for the free webinar with Teresa and myself on Wednesday August 31st at 9:00 AM EDT. To register, click here. David Zinger is an expert on employee engagement and founder of the 4200 members global Employee Engagement Network. David believes that progress is a vital behavior for engagement and he is using the principles and practices of gamification to encourage, monitor, and master his own progress for the remainder of 2011. David is applying the principles of honeycomb hive building to create an engagement and wellbeing game to facilitate his progress. 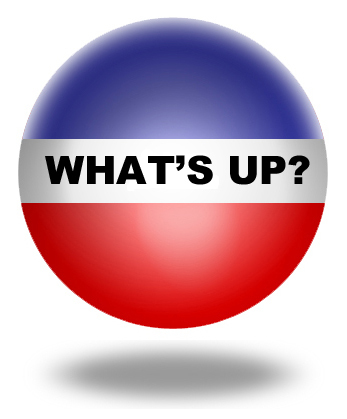 Filed Under: Employee Engagement, What's Up?